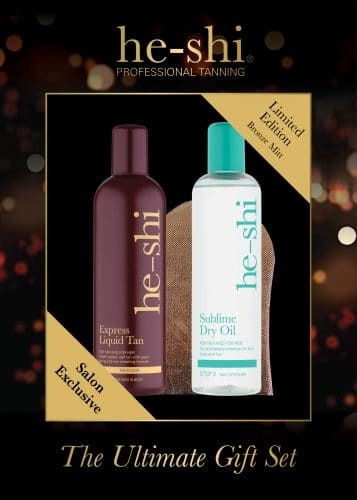 Palms Extra are delighted to be working with the 4 Beauty Group to supply salons and professionals with the beautiful He-Shi self-tan brand. Developed in 2004 by mother and daughter team Hilary McMurray and Shelley Martin, He-Shi has grown to become an award winning, internationally renowned tanning brand, loved by salons and celebrities alike. He-Shi is a sophisticated, high quality and premium self-tanning brand with both professional service and retail product offers. He-Shi is famed for its beautiful, natural golden colour and the innovative Moisture Lock Technology to keep skin hydrated and therefore prolonging your tan. Easy to apply, it is a perfect streak free tan with a flawless finish every time. He-Shi will be available from Palms Extra from October and will be promoted at Olympia Beauty, stand E50. Contact kathryn@palmsextra.com for more information or call FREEPHONE 0800 252172.